A British academic who was jailed for spying in the United Arab Emirates has been pardoned. His wife, Daniela Tejada, who appealed for clemency, said she was “elated” and “can’t wait to have him back home”. The UAE issued the pardon as part of a series of orders on the country’s National Day anniversary. However, a spokesman said Mr Hedges was “100% a secret service operative”. BBC Arabic special correspondent Feras Kilani said Mr Hedges had been freed and was due to fly back to London tonight. During a news conference, a video was shown of a purported confession from Mr Hedges, saying he was a member of MI6. This accusation was rejected by Ms Tejada, who told BBC Radio 4’s Today programme: “It’s taken me by surprise and I’m just so happy and so relieved and really incredulous that it is all happening finally. 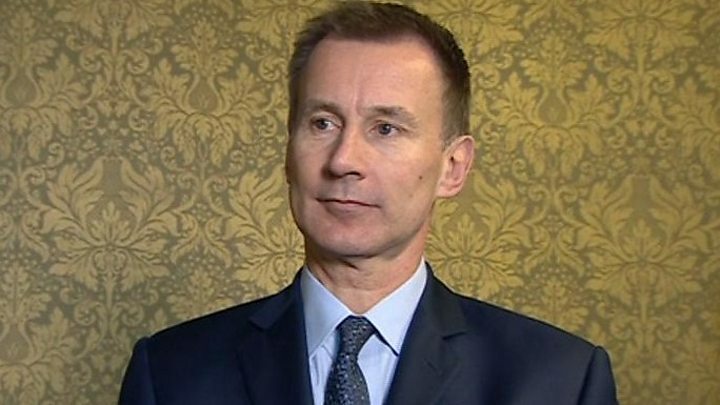 Foreign Secretary Jeremy Hunt said the UK government had “never seen any evidence” the spying charges were true. He praised Ms Tejada, describing her as a “determined lady” who had “fought incredibly hard and been to hell and back”. Prosecutors said Mr Hedges had admitted the charges in an Abu Dhabi court, which found him guilty of “spying for or on behalf of” the UK government, and was jailed for life last week. Mr Hedges had always said he was innocent, and had been researching the country’s security strategy as part of his PhD studies at Durham University. The UAE is a close ally of Britain. That makes this case all the harder to comprehend. 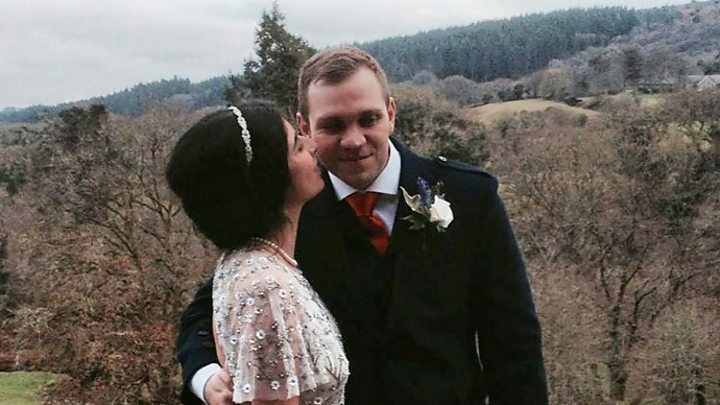 Despite his official pardon, UAE officials remain adamant that – in their view – Matthew Hedges was caught red-handed spying for Britain’s Secret Intelligence Service, MI6, which he denies. In an earlier video-taped confession shown at a news conference in Abu Dhabi today, Mr Hedges was shown describing himself as “a captain in MI6”. No such rank exists in MI6, which does not use military ranks. For operational reasons, the UK government has a longstanding policy of Neither Confirm Nor Deny (NCND) whether someone is working for its intelligence agencies. As foreign secretary, Jeremy Hunt is the person to whom both MI6 and GCHQ answer to. He has stopped short of publicly denying that Hedges was working for MI6 but has said he has seen no basis for the charges against him. This case differs markedly from those citizens jailed in Iran in that the UAE, as an ally, has shown it wants to see it resolved as quickly as possible. Mr Hunt tweeted: “Fantastic news about Matthew Hedges. Mr Hedges, who lives in Exeter, was arrested at Dubai Airport in May. His family said that during the first six weeks of his detention he had been interrogated without a lawyer and consular access was unavailable. Despite not speaking Arabic, he was made to sign a document which transpired to be a confession, they added. Ms Tejada said her husband had been left “absolutely terrified” by the prospect of serving a life sentence in the UAE and suffered panic attacks. The UAE accused Mr Hedges of trying to steal its “sensitive national security secrets” and gather “classified information on [its] role in Yemen”. A spokesman for the UAE government, Jabel Al Lamki, claimed Mr Hedges had been “using two different identities to gather information from his targets”. He said a request for clemency from Mr Hedges’ family had been granted “in consideration of the historical relationship and close ties between the United Arab Emirates and the United Kingdom”. Durham University’s vice-chancellor, Prof Stuart Corbridge, said: “We are absolutely delighted to learn the news of Matt’s impending release. “It is paramount that he is now allowed to return home to Daniela and his family as quickly and safely as possible. Detained in Dubai – an organisation that aims to help foreigners abroad – said that while it welcomed Mr Hedges’ release it was “far from an optimal resolution”. Chief executive Radha Stirling said: “Matthew should never have been forced to sign a false confession in Arabic, never should have been locked up in solitary confinement for six months, and most certainly never should have been sentenced to life imprisonment.